Half in one world, half in the other…maybe I’ll just do my own combination of both. Machine crank parts of a sock and hand knit the remainder. My sock knitting machine is finicky. When it’s working at it’s best, I can can crank out a pair of socks in about an hour. This includes ribbing, turning a short-row/rounded heel and turning a similar toe. All that’s required is to graft the toes manually. 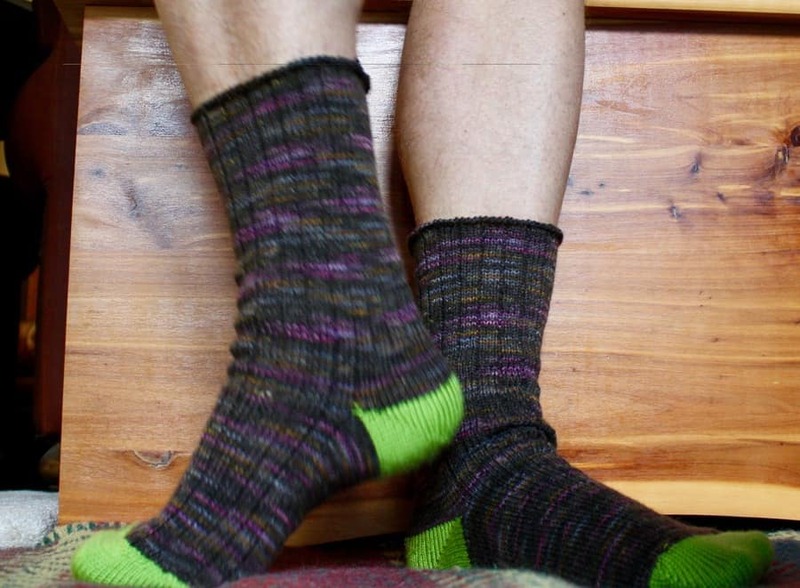 I also don’t mind hand knitting socks…Marilyn Roberts used to always have a sock on the needles for when she found herself with idle time, she could make progress on a sock. Yesterday, I created this on my CSM. 1×1 ribbed cuff, 3×1 ribbed leg, short-row/rounded heel and then I messed up when I was turning the toe, so I just moved the live stitches to double-pointed needles. There were a couple of dropped stitches that I recovered manually. Those are the safety pins in the photo. The creation time for this was about 30 minutes. I definitely couldn’t have made that kind of progress by hand. 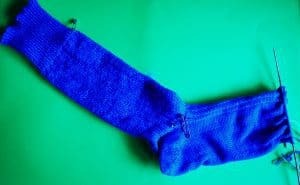 I will create a second sock on the CSM and see how far I get. Then I will manually fix and/or knit the anything necessary on the first and second sock. These little Franken-socks will have life in a much shorter timeframe than if I had fully knit them, but they still have my design aesthetic. I’m liking this combo and may decide to continue doing it this way until my machine knitting is perfected. Other than the machine/hand knitting of socks, I also worked on the Briyoke sweater. 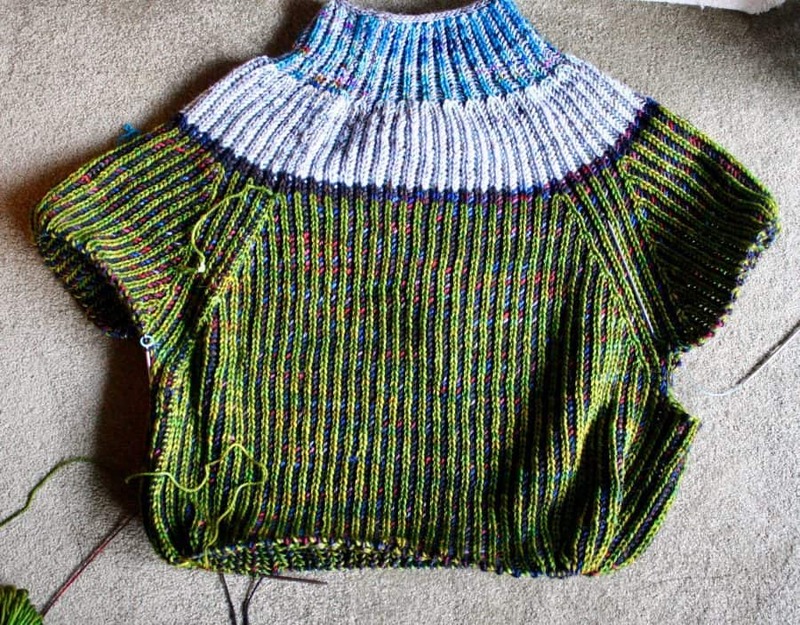 I added three inches onto the body since Monday, leaving only six more inches of body to knit. I’ll try it on when the body is complete to make sure I like the length before continuing on with the sleeves.